ppm factum starts another big promotion for Listerine brand after wonderful last year achivements at Johnson&Johnson company. 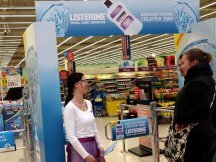 ppm factum promote Listerine Total Care Sensitive at hypermarkets this year. 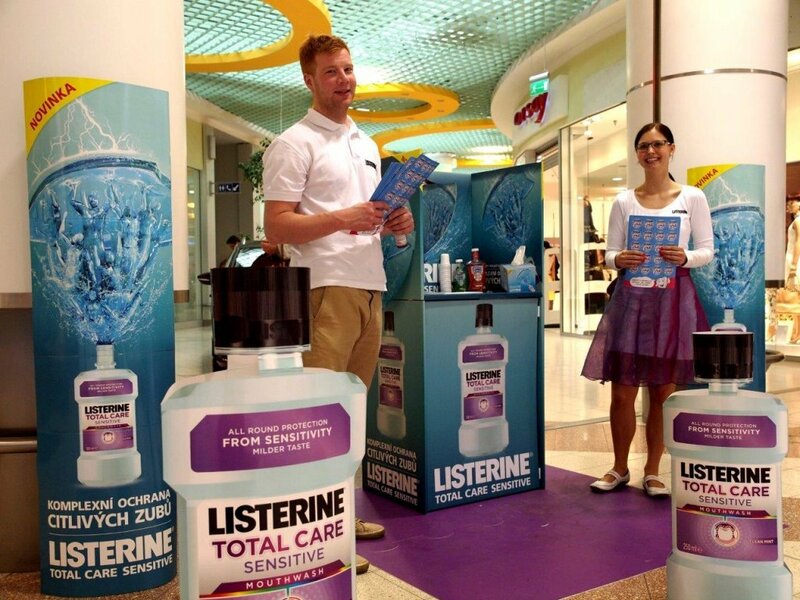 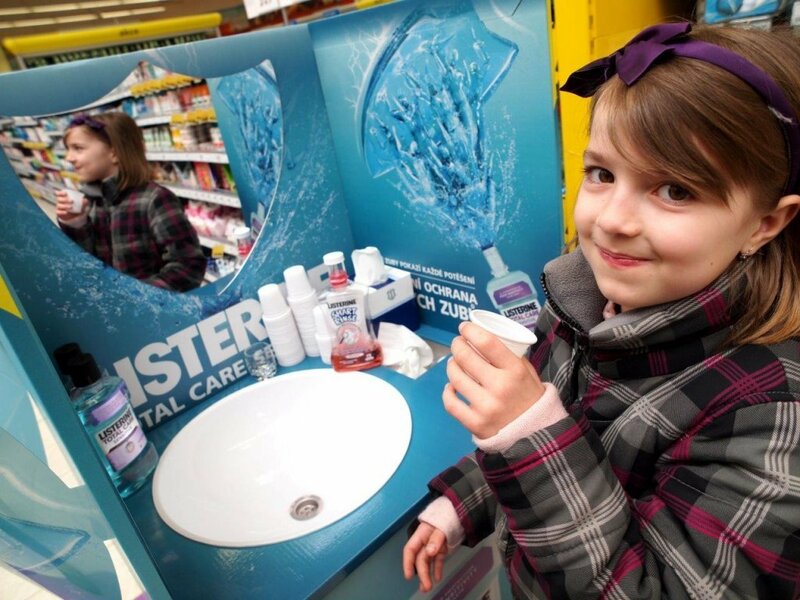 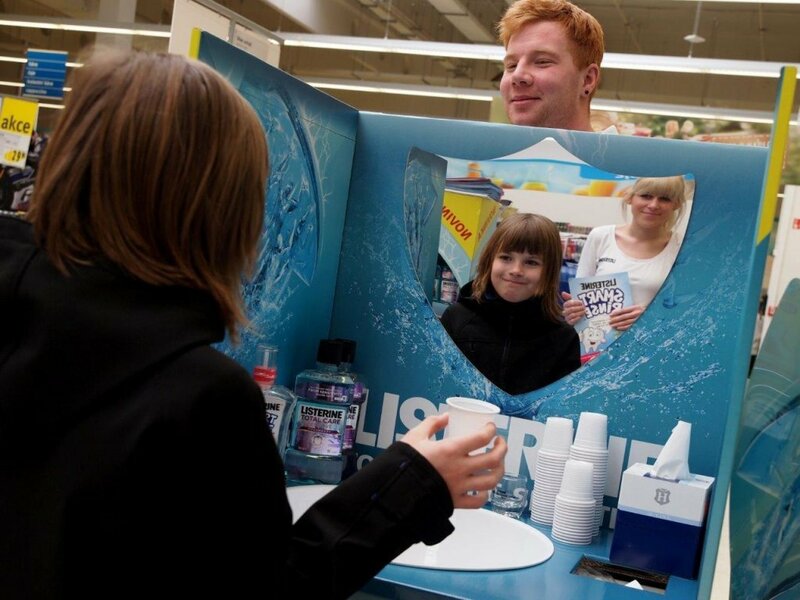 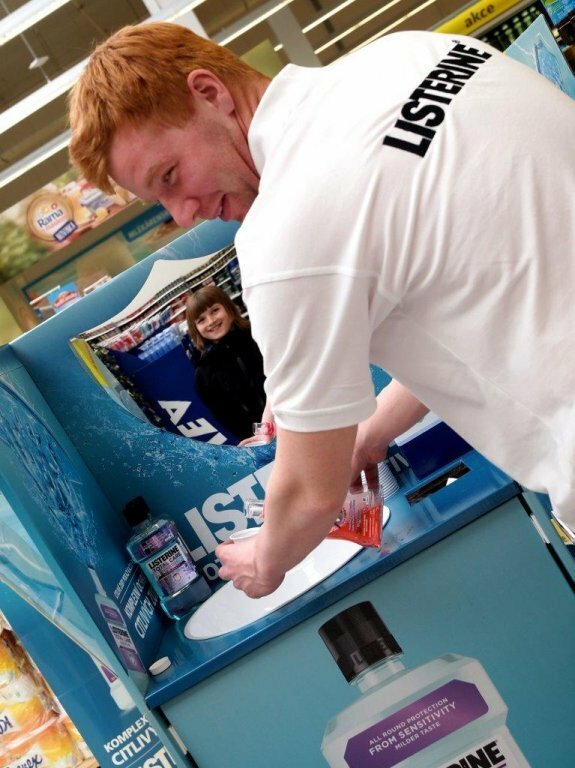 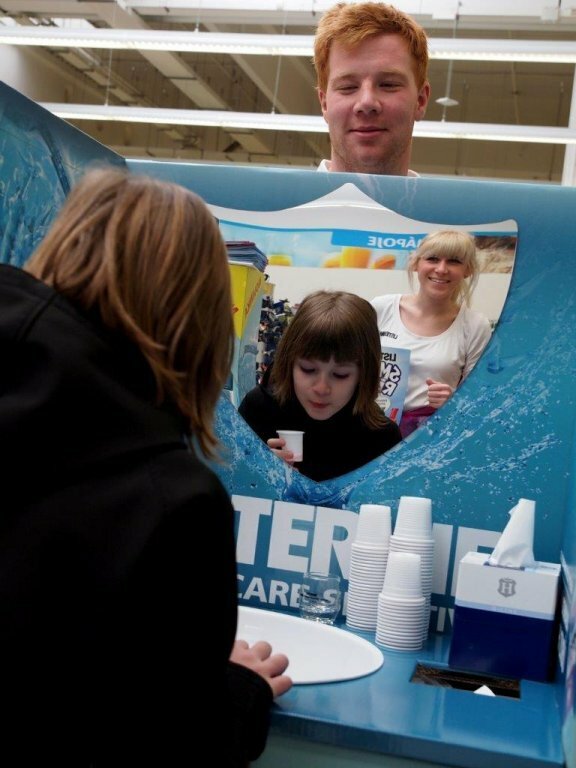 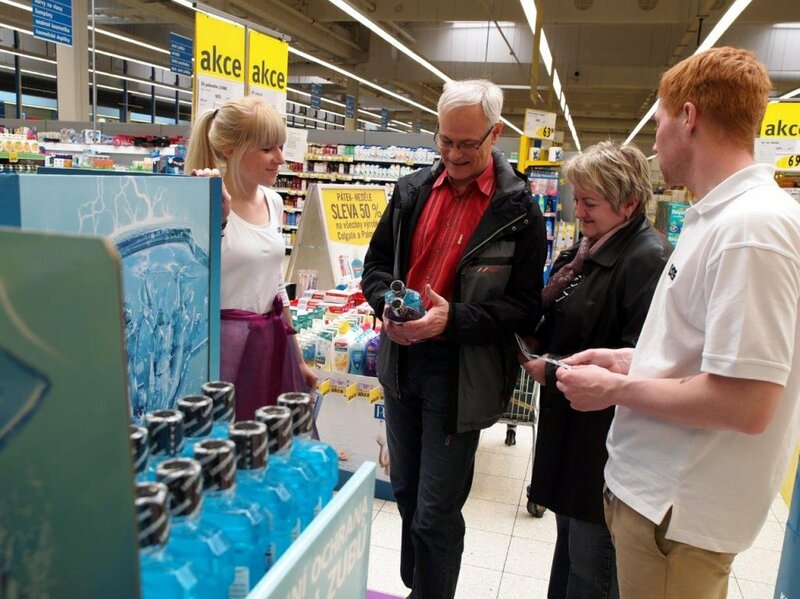 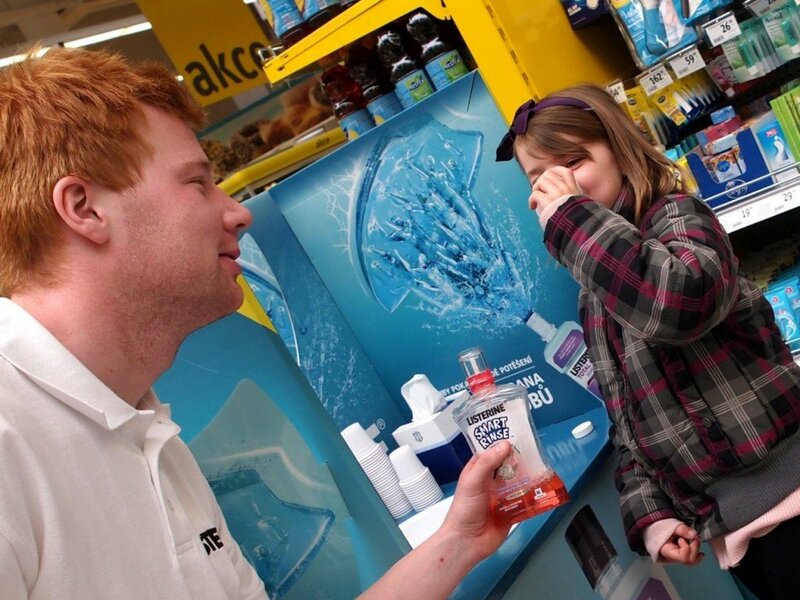 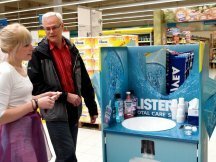 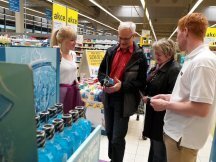 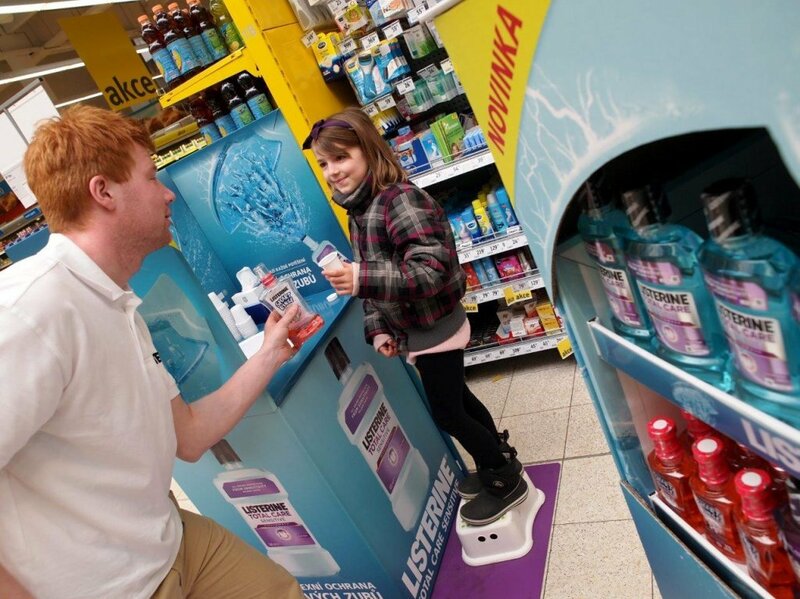 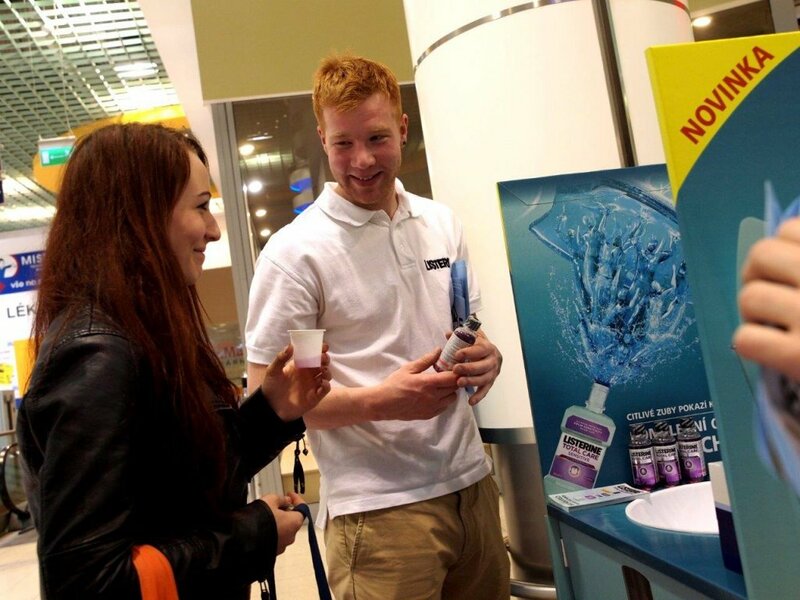 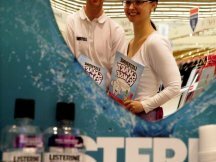 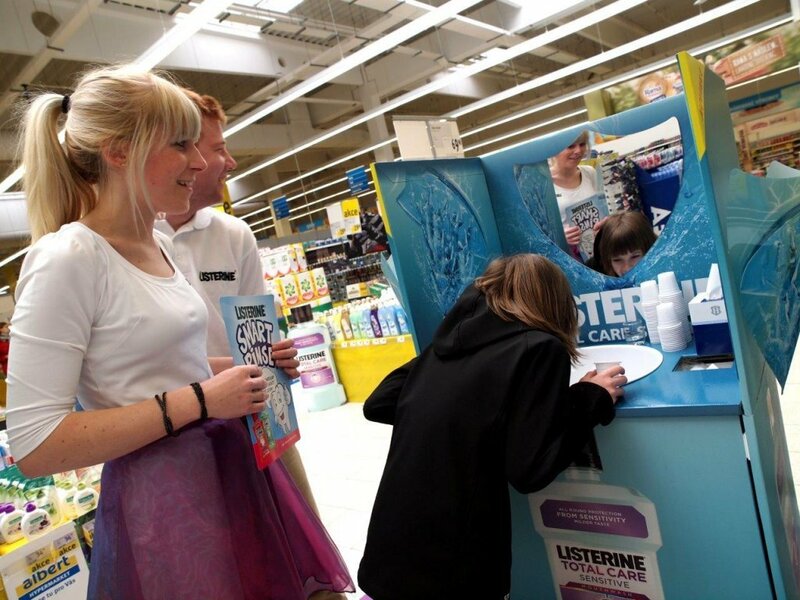 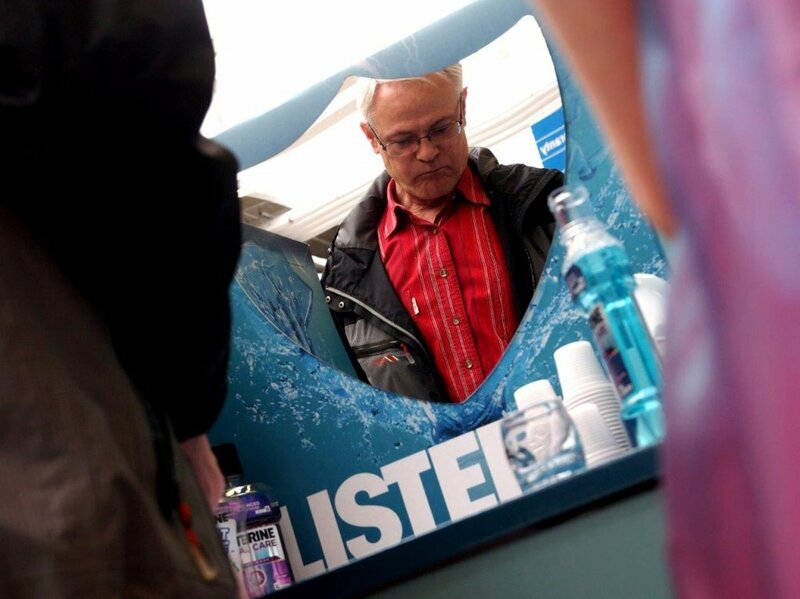 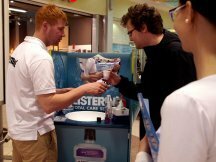 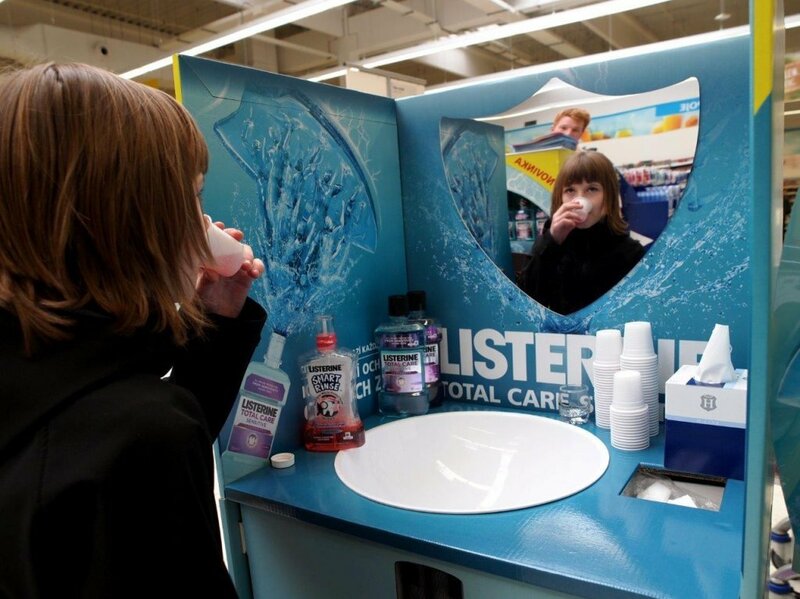 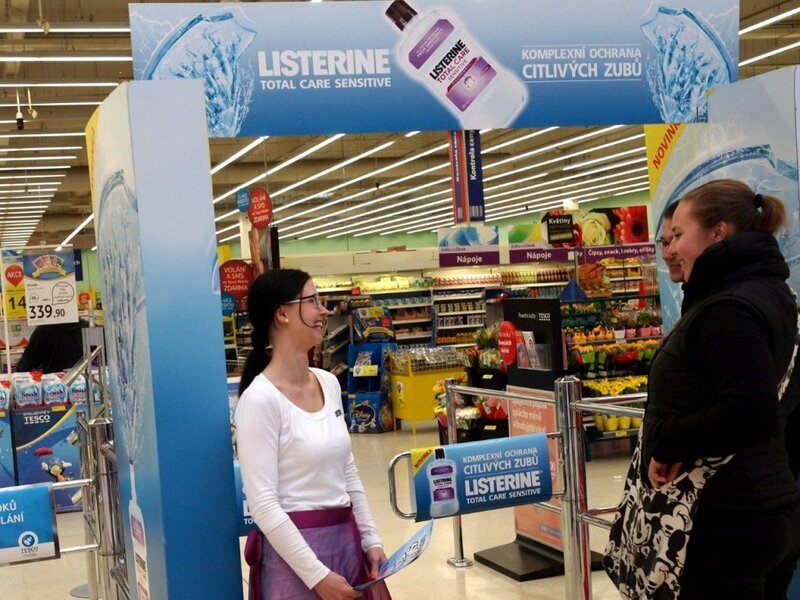 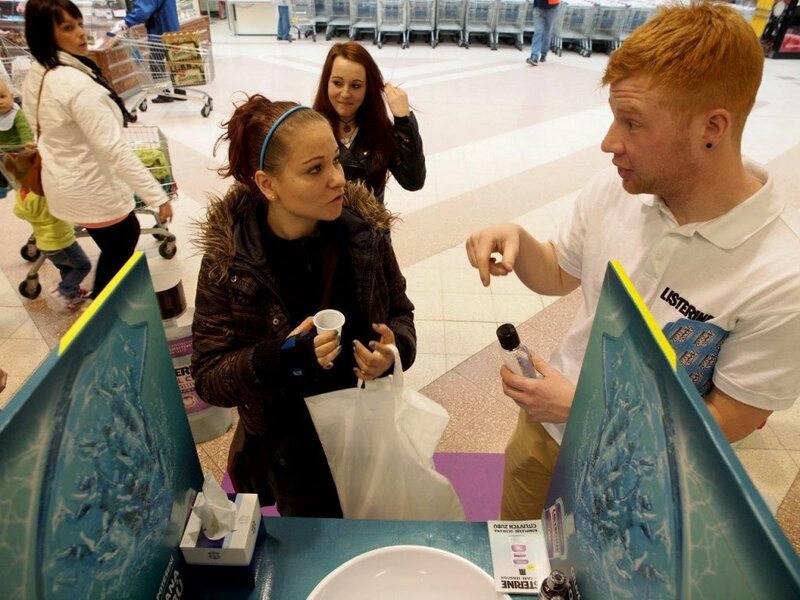 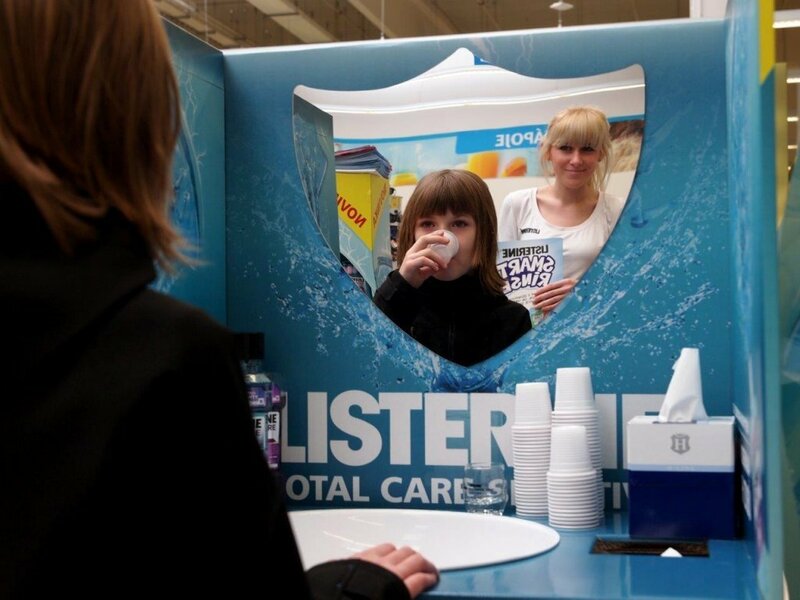 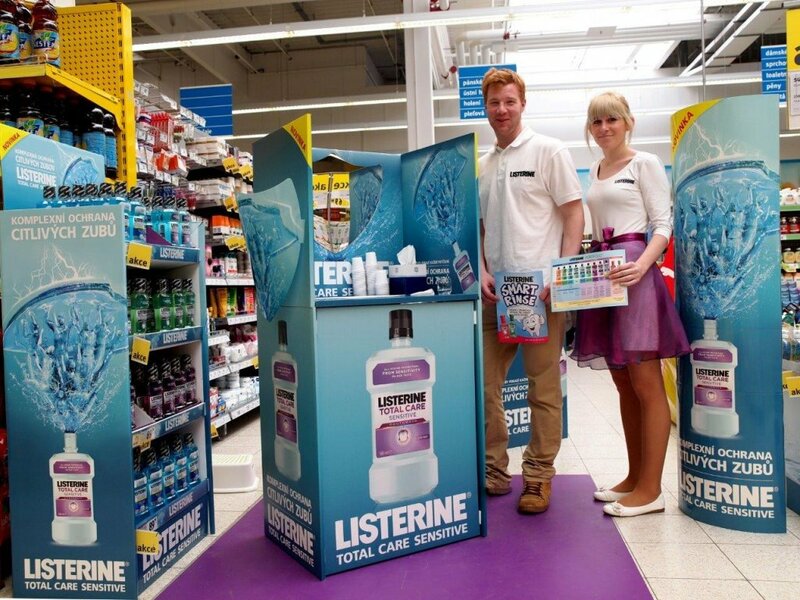 Tasting of the Listerine directly at stores is a part of the promotion. 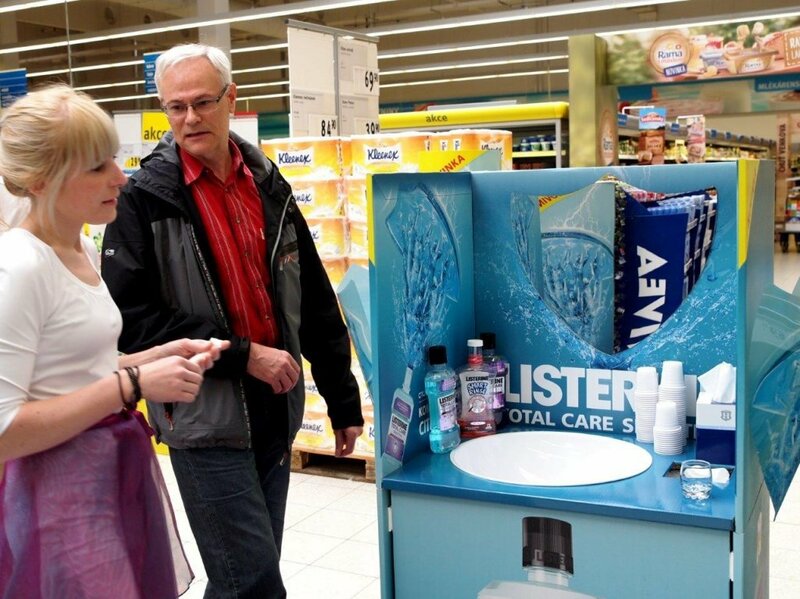 The visitors are thus able to try the mouthwash at food courts right after meal. 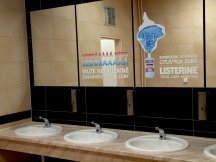 Another communication takes place at restrooms where the posting is placed and also at the most frequented food courts tables. 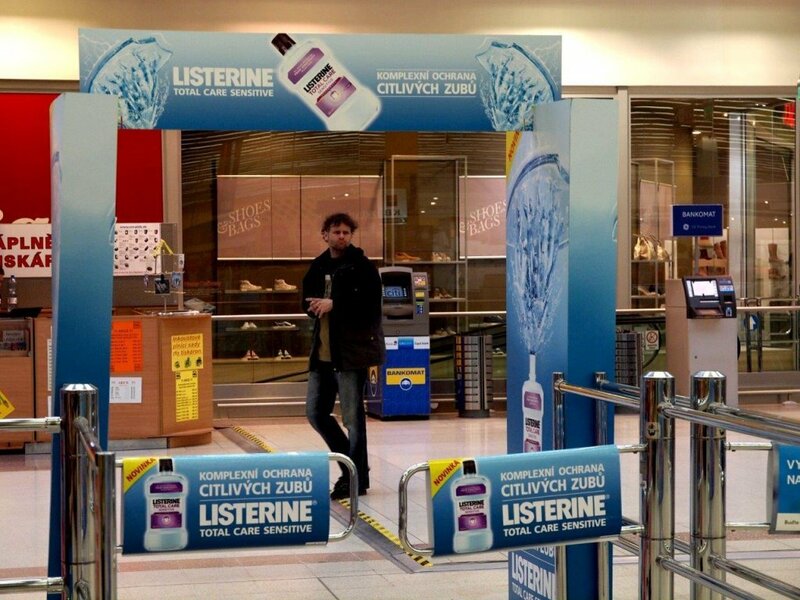 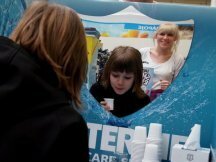 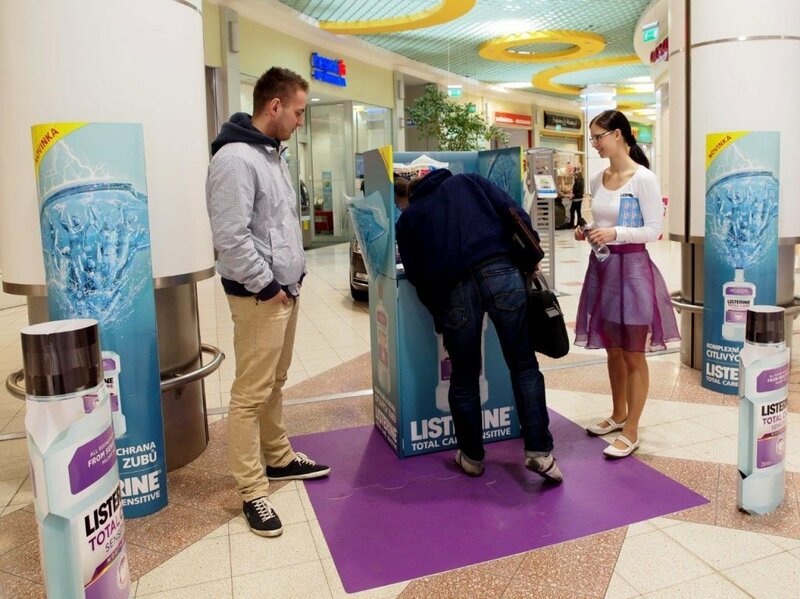 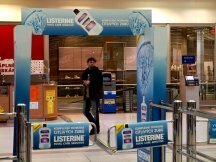 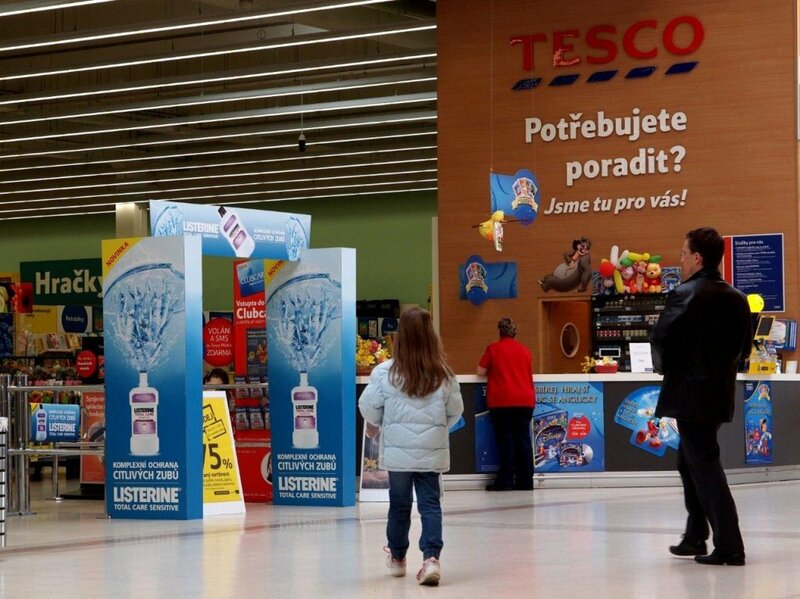 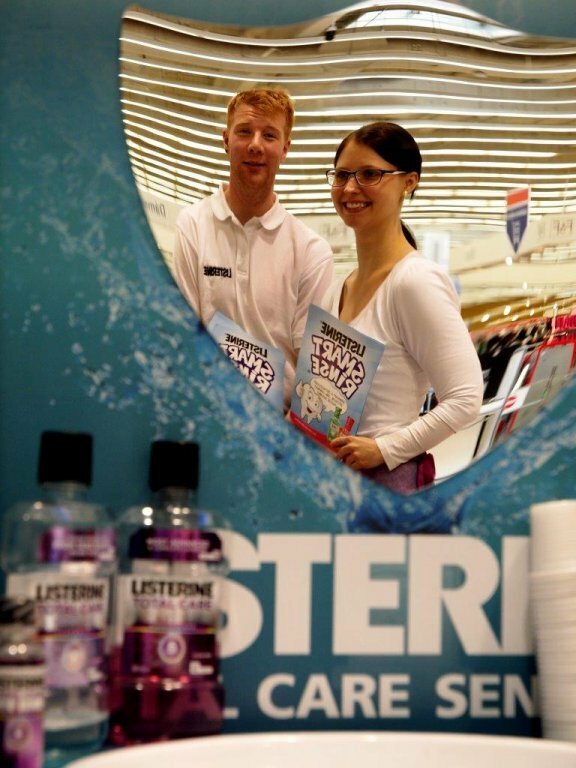 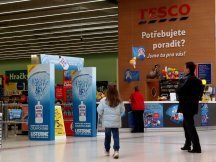 ppm factum believe in high goals reached and helps Listerine to spread at Czech market. Videos and photos can be seen at our photogallery.